Sac à dos There are 5 products. 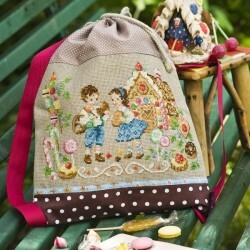 We are sure that Little Red Riding Hood would have adored this backpack ! Perfect for a little snack and a cuddly toy. 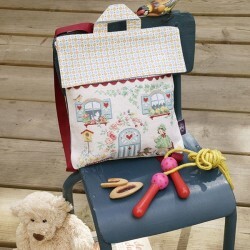 You'll stitch it with pleasure and your little darlings will carry it proudly. And this is one the wolf won't get! 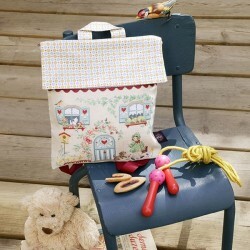 Kids will just love pulling their snacks out of this adorable backpack. And just imagine how jealous all their friends will be just looking at the gingerbread house all covered in sugar and sweeties.